I have never used this auction site before, so I can't vouch for it's quality or professionalism. So please... by no means, consider this thread, my personal endorsement of the site. I simply felt it was an interesting resource, which may interest some readers. Nearest I can tell... it's basically an Ebay of sorts. Does anyone have any experience, with this website... i.e., made a purchase or sale there? I've bought and sold a few things with them, they seem honest. 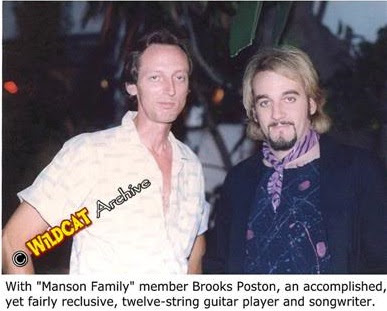 I don't know who the guy is with brooks but the guy with Sandra is nick bougas. 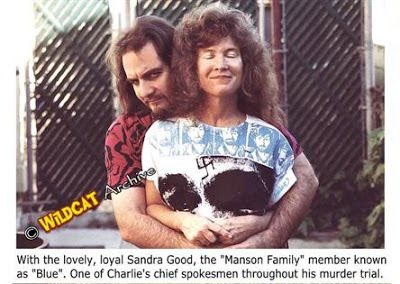 he has quite the manson collection including a cassette recorded by paul Watkins stating bugliosi forced him to testify to the helter skelter theory being true. bugliosi told Watkins testify the way he wanted him to he'd sit Watkins on manson's lap in the gas chamber. "including a cassette recorded by paul Watkins stating bugliosi forced him to testify to the helter skelter theory being true. 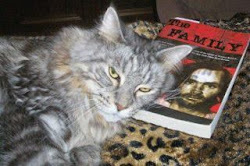 bugliosi told Watkins testify the way he wanted him to he'd sit Watkins on manson's lap in the gas chamber". Harold True seemed quite "taken aback" by the way Bugliosi "wheeled and dealed" (as he put it), as well. And then of course... there's the whole milkman debacle... AND the mistress saga. If I understand the mistress situation correctly... Bugliosi got his mistress pregnant... and then became infuriated because she wouldn't get an abortion (at his request). Afterwards... (to protect his job and reputation)... he pulled legal strings and paid money, to keep her mouth shut. It seems there are a handful of palpable accounts, which strongly suggest that Bugliosi had a way of coercing people into "playing ball" by manipulating his legal influence (and in extreme cases, making monetary payments). Bugliosi was a very effective lawyer... you can't take that away from him... but there are quite a few signposts which strongly suggest that Bugliosi was not exactly "beyond reproach" ethically. Of course... Bugliosi's ethical fiber (or possible lack thereof)... certainly doesn't make the killers any less culpable for their actions. Vinnie the Bug Is your typical Minnesota, progressive liberal, hypocrite. A "wheeler Dealer" from the start. He moved to Los Angelos, because he fits right in with "spin a narrative to make money" lifestyle of the rich and famous. Vinnie the Bug Is your typical Minnesota, progressive liberal, hypocrite. A "wheeler Dealer" from the start. He moved to Los Angelos, because he fits right in with "spin-a-narrative-to-make-money" lifestyle of the rich and famous.